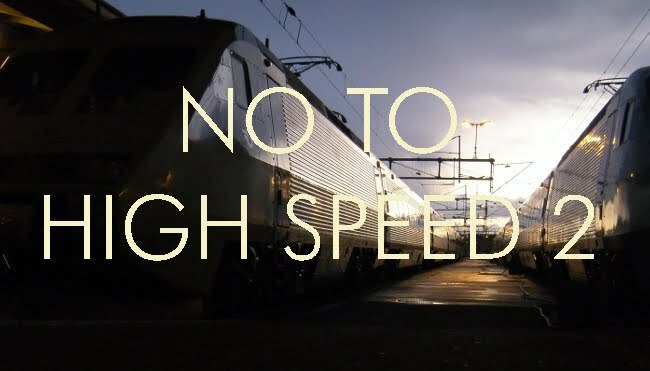 No to High Speed 2: What rolling stock? One of the great unanswered questions concerning HS2 is what kind of rolling stock will run on it? British rolling stock is lower and narrower than standard continental stock. And standard continental stock is too tall and wide to run on existing railways in Britain. Will there be a small fleet of continental-sized stock that will be confined to the new lines? And will it be necessary to build a special, and therefore expensive, fleet of British-sized high speed trains that can run on existing routes? This raises yet another question. Continental stock actually varies in size from one country to another. Scandinavian trains are wider than those anywhere else, which makes for added comfort, or alternatively, more seats can be fitted into the carriages. And would also be possible to build the line large enough to accommodate double-deck trains that did not have low curved ceilings like those in most of Europe apart from Finland, where the gauge is slightly wider. (1525 mm instead of 1435 mm). I cannot find any discussion of this issue. Also a lack of any info on where the new trains will be procured. Are they to be bought from Europe, or built here. Or maybe Hitachi would like to use their Intercity Express Programme factory (if that project goes forward) to build Japanese type high speed trains for the UK market. I wonder if the government has a master plan regarding this, or maybe they haven't noticed that the UK's ability to make trains isn't what it was post privatisation. Section 8.5 onwards (around page 128), specifically sections 8.8 onwards. In the document above they consider both high speed trains built to british loading gauge, and gauge enhancement, appearing to favour trains built to the british loading gauge. I haven't found any specific mention of the loading gauge, but it seems to be likely that it will be at least to double deck westerern european standards. As the EU documents on technical standards for interoperability on high speed lines are mentioned I would guess they will work to that. EU Directive 96/48/EC seems to be the relevant document, though it may have been superceded - it mentions (quote) "UIC 505-1, GA, GB or GC" http://eur-lex.europa.eu/pri/en/oj/dat/2002/l_245/l_24520020912en04020506.pdf section 4.1.4 and notes at the end. According to wikipedia, Arup's early capacity calculations were based on the largest of those GC. Double-deck western European standard is sub-standard. The 1525 mm gauge Finnish double deck trains are not, with full height upper decks and overhead luggage shelves. Likewise the 1435 mm gauge double-deck stock in the USA. If the wretched line is going to be built it should at least accommodate full-size double-deck vehicles, not the things you have to avoid bashing your head due to the curved ceiling. I found this adress. There is a document all hsr vehicles.